Photo by Charles Edward Miller. Flickr. Children have been separated from their parents at the border for the past few months. 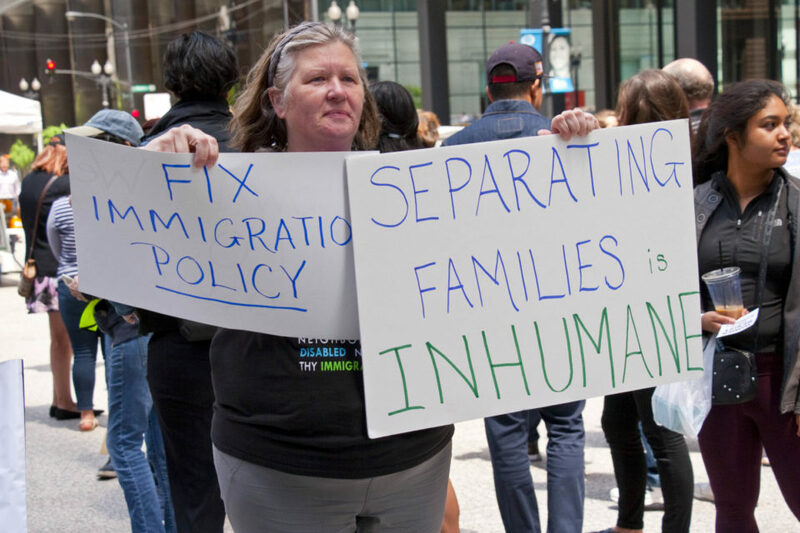 While the zero-tolerance policy highlights that families would only be separated under specific conditions including human trafficking and smuggling, it seems that most families are being separated because crossing the border illegally leads to criminal prosecution. Previous administrations have had questionable deportation policies, but this current process is under criticism for the high rate of families being separated. In the past month, over 2,000 children have been separated from their families. “Tender age” camps have been set up in South Texas for these children, including children under the age of 5. Some children were sent to New York, even as recent as Wednesday night to LaGuardia Airport. Citizens gathered at the airport to greet the children flying in from the border. On Wednesday, Trump signed an executive order to stop the separation of families at the border, but it is unclear if this will be fully executed. In the meantime, the families that have already been separated may not be reunited. Trump has a history of being against “illegal” immigration, opting to form a wall to separate the United States from Mexico. He is also known to make racist statements against Latinos. This zero-tolerance policy can be considered a reflection of his views on immigrants in the United States. Trump is also known for being contradictory. Last week, he stated an executive order could not control the situation. This week, he signed an executive order. People migrating to the United States are often trying to escape certain conditions in their countries and seeking a better life outside of their home countries. Realistically, the process of becoming a legal resident or citizen of the United States is not a quick process. There are organizations that try to help, including Church World Service, who have an office in Jersey City. Share information – Fact check your information before you share it, especially photos. For instance, the photo circulating of a child in a cage is inaccurate in the sense that it isn’t a detained child, but it comes from a protest that used the child to symbolize the inhumane nature of detaining immigrant children in cages. Be Involved – We say it all the time, but your voice matters. Make sure you contact Senators and Representatives, and make sure they know where you stand. Vote for the people who represent your views and the best for the nation as a whole. You can donate to ACLU, an organization that actively works in the courts to fight injustice and inhumane practices. You can donate to Raices Texas, working to reunite migrant families by paying the bonds and the costs for lawyers. You can donate to Texas Civil Rights Project, who work toward legal representation for the community. You can donate to KIND (Kids in Need of Defense), who help provide legal services to unaccompanied minors in the US immigration system. You can find full lists of more organizations through several news and media outlets – NBC New York, Refinery29, and TODAY offer great resources.